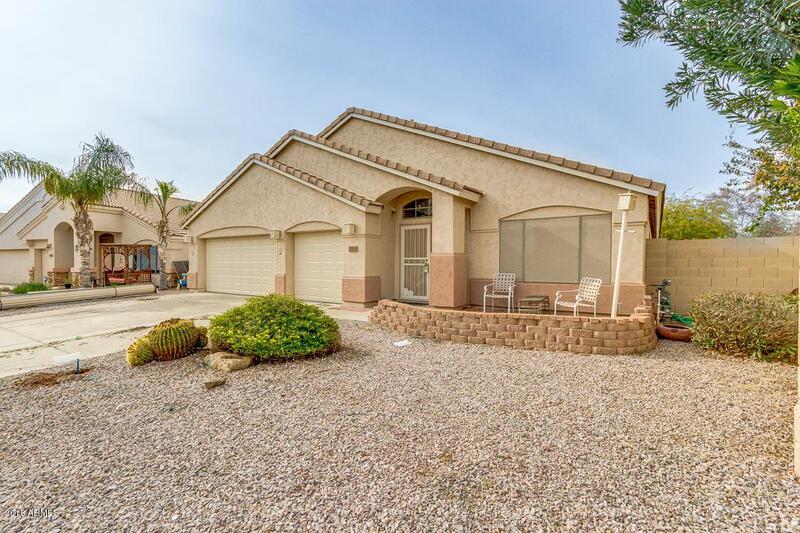 Your new home w/sweet curb appeal in a large pie shaped lot awaits your arrival! 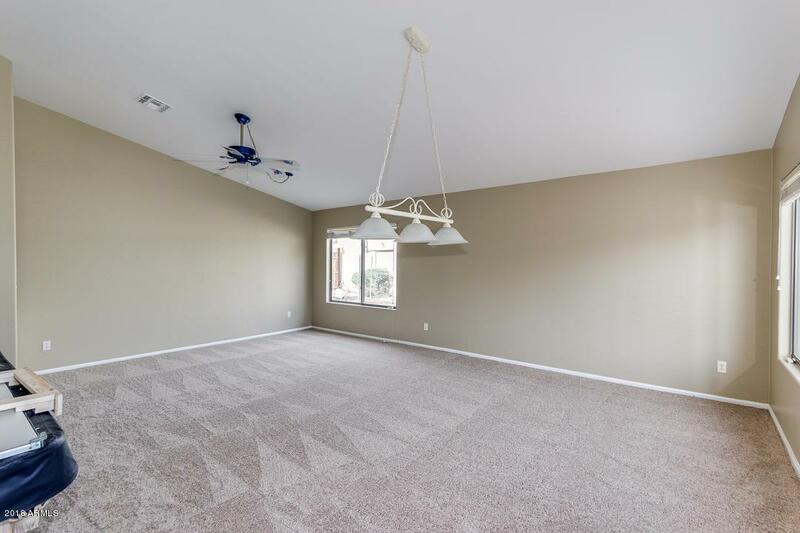 Step inside to find fabulous great room, tons of natural light, neutral paint, 3 bed, 2 bath, vaulted ceilings that makes entertaining a breeze, and spacious family room w/built-in media niche. 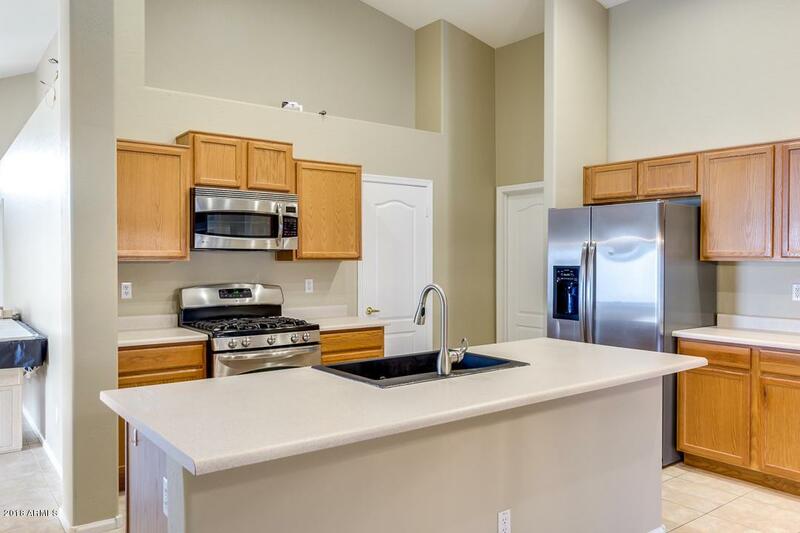 Open concept kitchen offers center island for prep & breakfast bar, SS appliances, pantry, recessed lighting, and ample cabinet/counter space. Split master retreat includes gorgeous full bath w/dual sinks, separate tub, step-in shower, and walk-in closet. Resort style backyard is comprised of sparkling blue pool, ramada, storage shed, extended covered patio, and beautiful boulder pond w/waterfall. 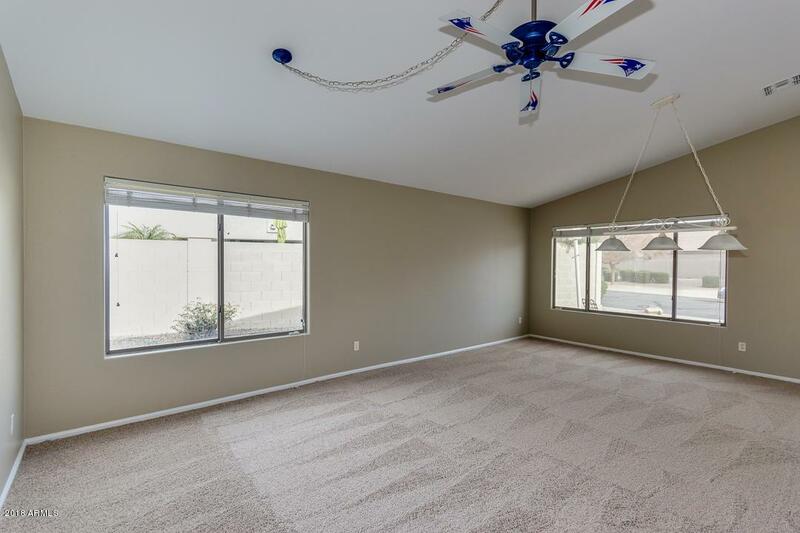 Don't forget about the 3 car garage w/built-in cabinets and bonus room perfect for a workshop area. This is a must SEE!